I wanted to take the time to thank you for the wonderful job that was completed at our new home. 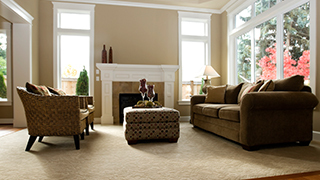 Just like our other market leading products and services, Kenny’s Carpet is focused on providing quality carpet and installations in the Kansas City area. Our carpet showroom is unequaled in the choices you have to select from. Builders and homeowners expect quality. Kenny’s offers that with a trained staff of service professionals and support through a buying process from selection to warranty. Come visit our carpet store to see our full selection of carpet. 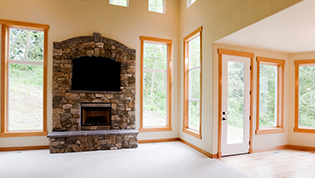 We have everything you need for your Kansas City home remodeling project. Our carpet department pre-cuts and pre-seams all jobs in our carpet warehouse prior to installation. 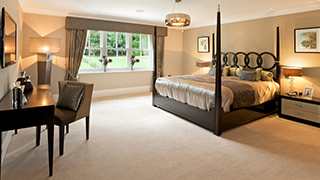 Professional service after the installation of your new carpet is the cornerstone of our success. 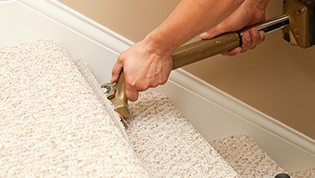 Professionally trained installers employed by Kenny’s perform your carpet installations. This ensures quality, craftsmanship and warranty. Kenny's Tile is now carrying the Caress line of Shaw carpet. We also carry a great selection of Dream Weaver Carpets in our carpet store at Kenny's Tile and Flooring. Check out the video on the right on how Dream Weaver Carpet is made. Over the years we have developed several hardwood staircases and honed in on this talent. For more information or ideas on how to upgrade your carpet staircases, read more about our staircases services. Berber Carpets are increasing in popularity faster than any other type of carpet. Berbers limit footprints and vacuum tracks in informal areas. Berbers can have thicker yarns than other level loop pile carpets for high durability. These loops can retain dirt and may be damaged from snags. Berbers come in expensive wool fibers or less expensive nylon, olefin, or nylon-olefin fibers. Velvet & Plush Carpets are lightly twisted and have a uniform color. They are softer and more level than textures. This type of carpet is ideal for formal areas (such as formal living rooms and master bedrooms) because of its luxurious appearance. Velvets/Plushes show every footprint and vacuum-cleaner mark. Frieze Carpet is a highly twisted cut pile carpet suited for high traffic, informal areas. It has short fibers that tend to curl in different directions at the surface to hide footprints and vacuum marks. Textures are the best-selling carpets and work well in informal areas (such as family rooms and children's bedrooms) because of its soft feel. Textures are tightly twisted and texture heatset for medium durability. They have a multi-colored look that disguises tracks and footprints.